a. By carpooling your way through Grand Rapids this summer, you and your comrades are saving fuel usage, reducing your carbon footprint, and decreasing the output of carbon dioxide into the atmosphere. In a world where our negative effect on the planet is only getting worse, any chance to reduce- or even reverse- that effect is a win for everyone involved. a. This may be one of the biggest arguments against carpooling. “I just don’t have the time!,” “I’m always running late!” Well, say no more. Carpooling has you covered. With less individual cars on those busy Michigan roads, traffic jams become more bearable and can be reduced to almost nothing. Many of the larger cities in the U.S. have carpool lanes, too- again, another reward system for those who choose to co-commute. You can even use commute time for your own purposes, saving even more time. Check emails and updates on your phone, see what’s new in downtown Grand Rapids, or get some shut-eye to recharge your batteries before that morning meeting. a. 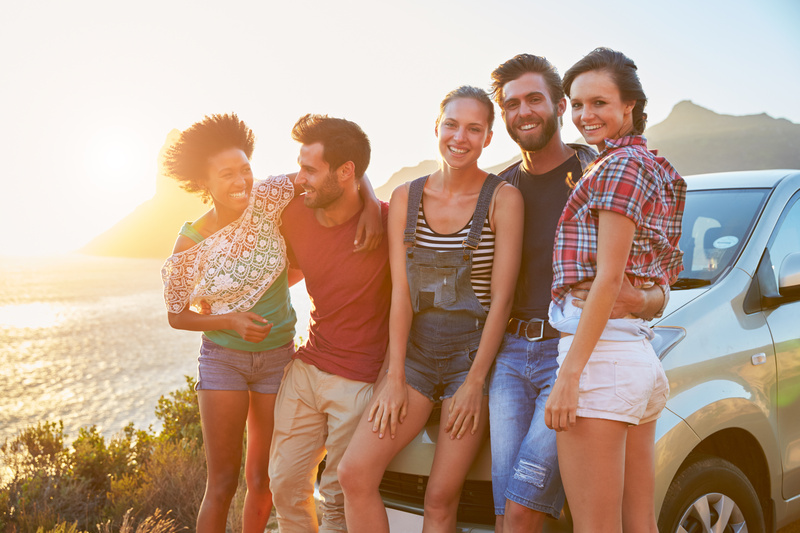 Utilize the time you would normally spend driving by catching up with the people you know. In many modern jobs, people get stuck in their own bubbles and don’t get ideal amounts of socializing time. Use your commute time as a social supplement when you carpool. a. One of the most important notes on this list, carpooling can be a great tool for increasing your safety on the road. There really is safety in numbers when it comes to driving in groups, as it reduces traffic congestion and driver stress (especially in bad weather), while increasing accident avoidance and lowering premiums. Group travel using mobile apps is the safest it has ever been, too- some apps, like SteadyFare, allow you to choose the gender of the person you ride with. Sometimes girls’ night is a lot cooler when it really is just a girls’ night.